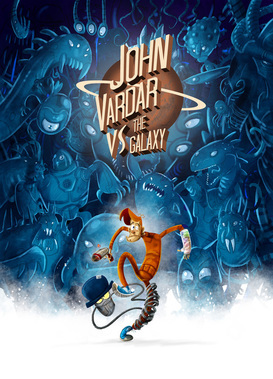 John Vardar vs. the Galaxy is a multi-platform cross-media project, consisting of a feature animation, an animated TV series and a couple of different video games. This space opera is a fast-paced gag comedy full of action and adventure. 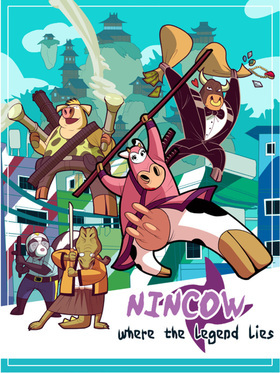 Ginger the cow works as a police agent. One day she’s recruited by chief Krocker and trained to become a super-ninja. She'll have to catch Taurus, the gentleman thief, without falling in love with him! 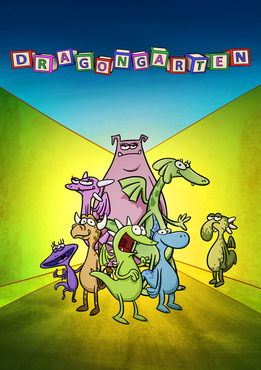 Dragongarten is an animated series following the misadventures of the little dragons who spend their days playing and causing mischief in the kindergarten for dragons. Somewhere in a galaxy not so far away, the narcissistic robot Zark finds himself obliged to take care of three alien kids and their dog during the summer holidays. However, the unwanted guests manage to fry Zark’s motherboard and turn him into an evil robot determined to kidnap children from every planet in the universe. The unlikely trio of alien super-heroes now has to fix Zark before the galaxy falls, or worse, before their parents find out what they did. Larger than life, dressed in suit and tie, papa appears at the window one evening, with a gift for his son. Papa is strong and brave – he frees animals from captivity, wins races with his superfast car, dives down into the depths of the ocean. Papa is a sorcerer who can make himself appear and disappear magically. In gently illustrated images, this animated film tells of a child’s poignant longing for his absent father. This is an inspirational story based on a real life 13 year old poodle who lost her sight and hearing and how she went beyond those obstacles and had fun with her sisters and her family​!